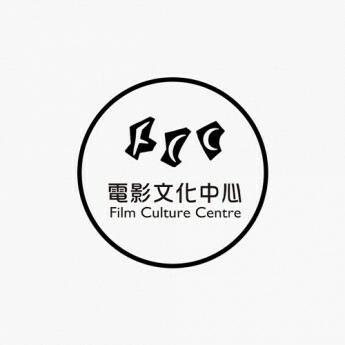 Cult Film Festival (HK) 2016 has the honour to welcome director Masashi Yamamoto to attend the screenings and seminar on 18th - 19th November, where he will lead as well a movie workshop with local students to put together a short film! Shinjuku in the 80’s… the hustle and bustle of the heart of Tokyo, through the lens of Yamamoto’s 16mm camera, collapse into a labyrinthine den of unknown perils and urban filth. Kimiko, who left her son in her husband’s care, tears away her maternal disguise and turns into a merciless and headstrong lone wolf, snaking into the shady veins of the city. Carnival in the Night booms with overwhelming indulgence and hysteria, fanatically expressed as the plot of blowing up the whole Shinjuku unfolds and by the unending presence of violence, torture and self-harm – a seething anger and hatred on the brink of rupture. Yamamoto might come across as callous when compared to influential directors Nagisa Oshima or Matsumoto Toshio, Carnival, however, fleshes out with brutal precision a sense of naked truth. The director’s disaffection and almost stubbornly rebellious spirit are laid bare by the unpretentious cinematography still visible today. Inherited with a priestly lineage is Korean girl Mina, the spiritual leader of the sect “God’s Water” – an untouchable figure that inspires divinity and tranquillity. However, Mina has a dark secret: her resolve has been constantly unsettled by her conscience and a dependent, deadbeat father. Yamamoto’s view of religious sects is nothing like a mystical and damning reportage, instead Voice dissects the prom and ceremony of a modern faith and pares it down to intricate mercenary interests and calculations. The plot thickens when Mina sets off on a quest to trace back her ethnic roots, hinting at the little known side of Korean heritage and spirituality. The sub-plot that revolves around Mina’s father ends up in a series of gang violence, the carnage and bloodiness of which sets an ironic contrast to the altar of a holy ritual. Voice marks the maturation of Yamamoto’s career that sees his typical ferocity deeply subdued, without undercutting the director’s scathing ridicules and unique style.